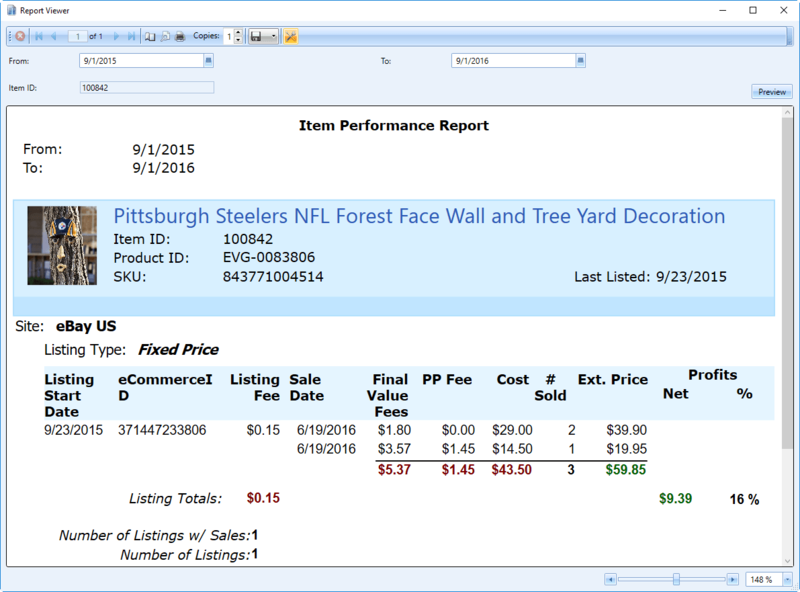 Stay on top of your business with our built-in reports and powerful analysis tools. We have Analysis Tools for Items, Suppliers, Inventory, Listings, Orders, Shipments, Sales and Buyers. Use our existing analysis layouts, or design your own to slice and dice your data anyway you want. Dive deep into information about selected grid rows or by date range. Each analysis view can be printed or exported to Excel or CSV. See success ratios and profit and loss to identify which items might need to be dropped and which items are outperforming. 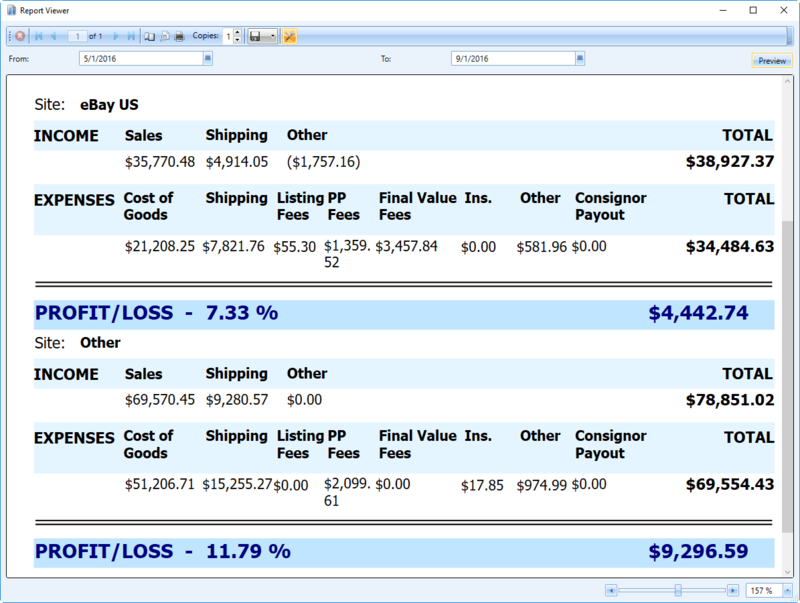 View profit and loss by item, order, shipment, sale or over a period of time. 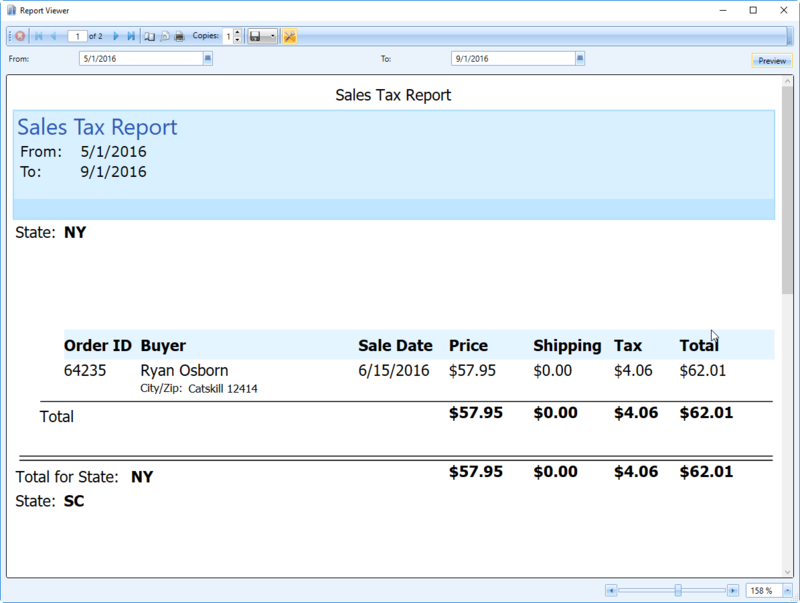 View sales tax collected over any period of time.